Extraction bench with cartridge filters and compressed air cleaning system. The extraction benches are used to extract and eliminate dust produced during manual sanding or with a sanding tool. These benches are equipped with a high-performing centrifugal fan and cartridge cleaning system which utilises jets of compressed air ensuring high and continuous efficiency.The air carrying the dust particles produced during sanding operations is conveyed through the holed deck, then filtered through cartridges and finally expelled through laterally via other filtering panels. 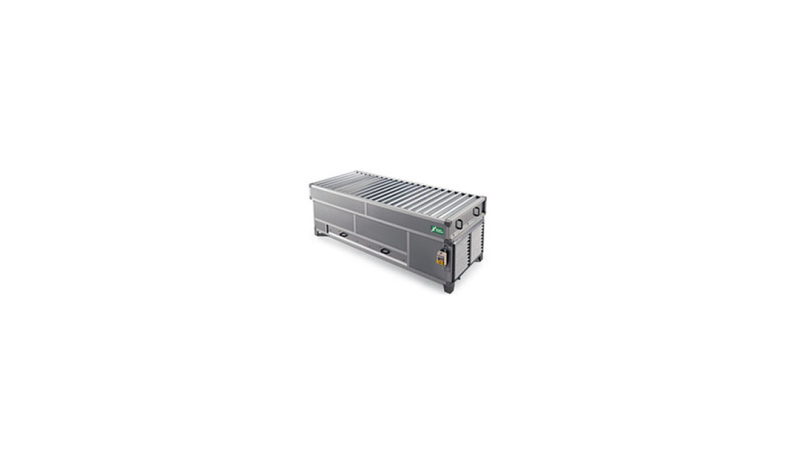 The symmetrical configuration of the bench is ideal for creating two workplaces and the lateral air discharge outlet can be connected to a centralised system or ducting. The waste particles are collected in a purpose collection drawer.